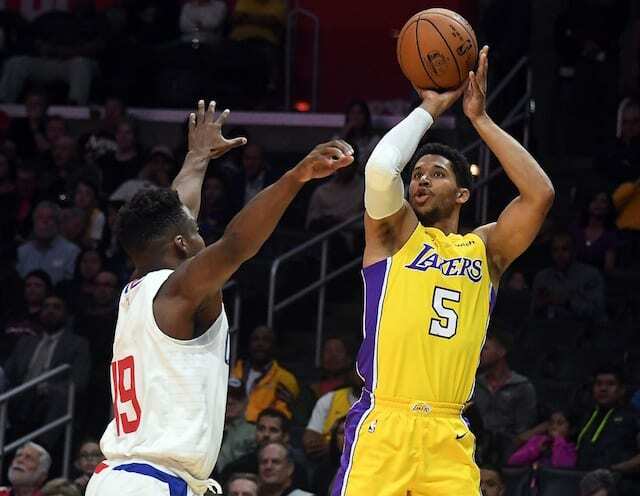 When the Los Angeles Lakers drafted Josh Hart with the 30th overall pick, they knew they were getting a guy that can bring leadership and defensive toughness to the team, something they have lacked greatly in recent years. Hart was dealt a bad hand to begin his career though, as he dealt with an ankle injury that kept him out for much of the Summer League, a hamstring injury that kept him out at the beginning of training camp and then Achilles bursitis that caused him to be inactive for the season opener. 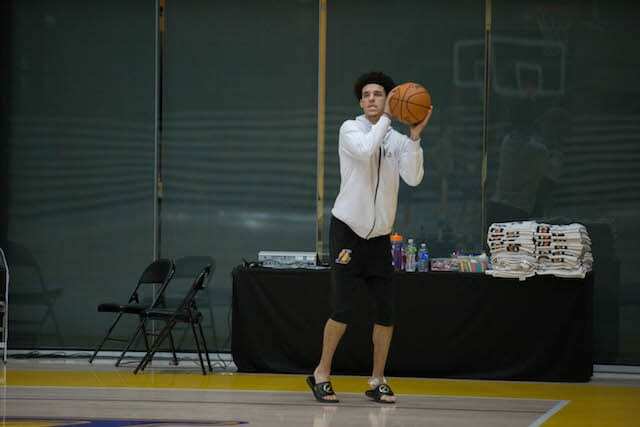 Missing so much practice time, it was difficult for Lakers head coach Luke Walton to get Hart minutes when he returned from the Achilles injury. He was able to crack the rotation in the third game of the season against the New Orleans Pelicans though, scoring five points to go along with four rebounds and an assist. Hart was a team-high +21 in his 15 minutes played, as he was a part of the unit that erased a 20-point deficit, although the Lakers ultimately fell to the Pelicans 119-112. Walton said rookie Josh Hart has earned some increased minutes. Hart needs to build a rhythm after having various minor ailments. While Hart did not put up big numbers on the stat sheet, his presence was particularly felt on the defensive end of the floor, something that was also the case when he played at Villanova as he was the Big East Co-Defensive Player of the Year as a senior. While Jordan Clarkson has been getting a majority of the shooting guard minutes off the bench, he has also played point guard in the past which would accommodate getting Hart into the rotation alongside him.